Posted August 22, 2018 & filed under Things to do in Dewey Beach DE, Visit Dewey Beach, Visit Rehoboth Beach. 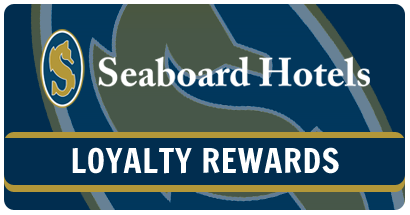 Planning a late summer or fall trip to the Rehoboth Beach area? If you like to fish, you’re in luck. 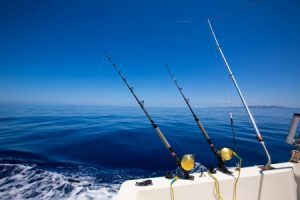 Our area is home to a wide variety of fishing charters, so no matter what kind of fish you like to catch or what kind of boat you prefer, you’re sure to find the perfect fishing charter for you and your family. Prime Hook Sportfishing takes passengers out on a classic 37-foot custom Carolina sport fishing boat that was completely refitted in 2016. Up to five anglers can enjoy a climate-controlled ride with state-of-the art electronics and safety equipment. If a day of fishing isn’t enough for you, they also offer overnight trips with comfortable accommodations. High-quality rods, reels, tackle, bait and ice are provided, and fish cleaning services are also available. The Michael D is a custom, Coast Guard-certified 53-foot John Yank Sport Fishing Vessel. Its home port is the beautiful Indian River Inlet, located just north of Bethany Beach. Captain Paul DiFebo can take up to 16 passengers with ample fishing room. The boat’s 1,100-horsepower engine offers 22 knot cruising. Fish Whisperer Charters is a 34-foot Carman walkaround fishing boat operated by Captain Rodney Jones, a USCG-licensed charter captain with three decades of boating and fishing experience. Fish Whisperer’s specialty is one-of-a-kind fishing adventures, targeting black drum, tautog, seabass, flounder, shark, tuna and offshore species. Try one of their sunset cruises! After a satisfying day out on the water, there’s no better place to rest your head than the Atlantic View Hotel. We’re a comfortable, convenient home base for fishing travelers in the Delaware Beaches area. Give us a call today at 1-800-777-4162 to book your room or make a reservation online.